Google Chrome is a freeware web browser developed by Google and released in September, 2008. It is the main component of Chrome OS. Originally, it was developed for Microsoft Windows and later ported to Linux, MacOS, iOS and Android. Google releases its source code under the Chromium open source project. 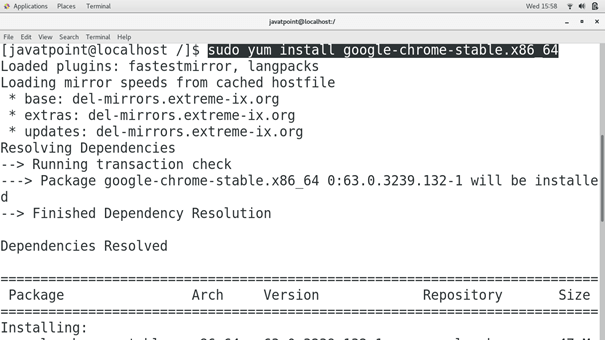 In this tutorial, we will install Google Chrome on CentOS. Use the following command to update the local repository index of Yum installer. Create a file named as google-chrome.repo inside /etc/yum.repos.d/ and add the following lines of code to this. 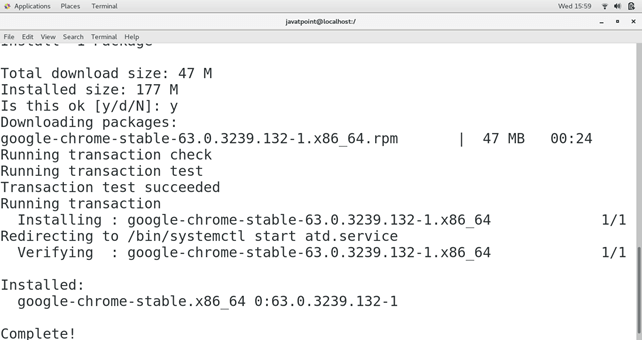 Use the following command to install Google Chrome on CentOS. 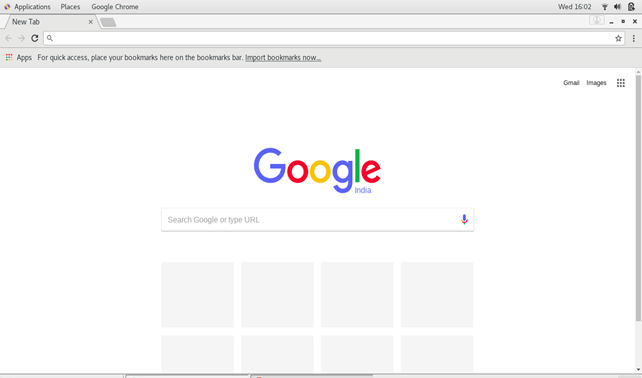 Type google-chrome & to launch google chrome Application on CentOS. Hence, we have successfully installed and get started with Google Chrome.